It has been said that the present Machida province was once part of the Musashi Province, which comprises today as the Tokyo Metropolis and was considered the largest province in the Kanto Region. It was in 1889 that the municipality's law of the Machida village was created. Over time, Machida became a city through annexation of nearby villages such as Minami, Tsurukawa, Tadao, and Sakai. Along the long stretch of hills lies the Machida city, which is situated near the southwest Tokyo and bound by Kanagawa prefecture of the west. Towards the east of central Tokyo it is said to be approximately 40-50 kilometers. It is a notable city with a total area of 71.80 square kilometers, with an estimated population of 429,000 as of 2016 that is third among the 26 cities of Tokyo. The city of Machida can be reached from Tokyo Narita Airport by bus, car or train. The cheapest and the fastest way to travel to Machida city is to drive using a car. It takes at least an hour to reach Machida and no need to transfer to different stations. Other forms of transportations such as bus and trains will take approximately 2 hours to get to the beautiful city. Machida is connected to Tokyo and Shinjuku by the Odakyu line and to Yokohama via the JR Yokohama line. One of the major rivers flows through the city and that is the Tama River. The Tama River is a famous spot for Kayaking where several competitions are held. Nowadays, it is also becoming a favorite place for white river rafting. On the banks of the river, there are many sports field and picnic spots that are good for recreation. In addition to this, the Tama River is also a home to various wildlife such as carp, rainbow trout, cherry salmon, turtles, and crayfish. In the city of Machida, summers are warm and wet while winters are very cold. However, it is rare that this city experience the extremes in temperature with the year-round average temperature ranges from 33 Fahrenheit to 87 Fahrenheit. The months from June to September comprises the hot season, with an average of 3 months every year. The months from December to March depicts the cold season. For beachgoers, the best time to visit Machida for dry season activities is from late July to early September. The chance of wet days varies significantly during the entire year, it could last approximately 7 months with the highest percentage on the month of June. 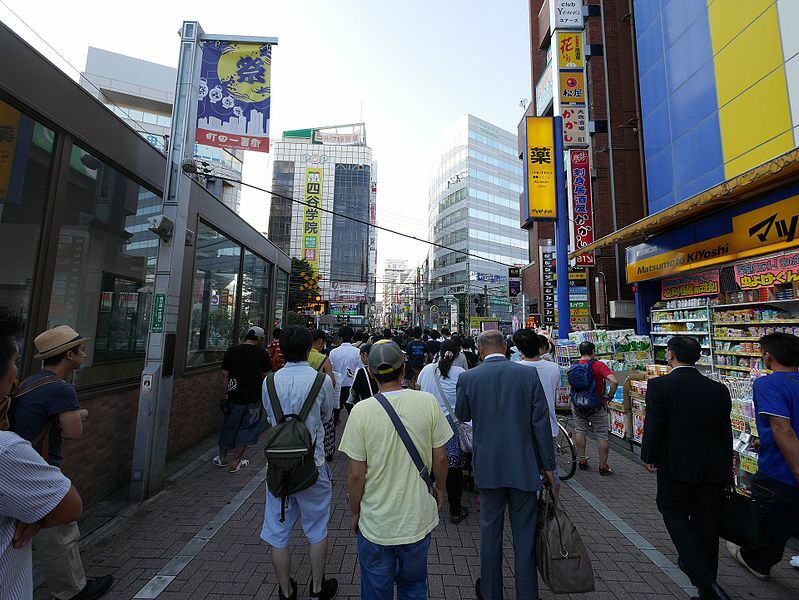 According to sources, the best time to visit the city of Machida are from late May to early June or from early August to mid-October. These are the months where outdoor activities for tourists can be best enjoyed. Moreover, the tourists can enjoy the cool and rainless weather. There are various accommodation choices in Machida such as hotels, ryokan, bed & breakfast, inns and special lodges. The hotels can be a bit pricey but it can provide the best comfort and rest after a day of going around the city. The cheapest way to stay in Machida is through shared houses that are not only inexpensive but undeniably comfortable. The different types of lodges can range from 100,000 Japanese Yen to 10,000 Japanese Yen, depending on the choice of comfort. To experience a traditional stay in Japan, there are available inns and bathhouses that can be booked. Among the traveler's favorite is the Hinodeya that is 5 minutes from the Izukogen train station. It is not only affordable but provides one of a kind authentic Japanese experience for first-time visitors. The Hinodeya has a very traditional interior and serves delicious Japanese food, and where a true Japanese hospitality can be experienced. The city of Machida is famous for its garden that is exclusively for squirrels; with an estimated number of 200 squirrels of different breeds roaming around the plaza. 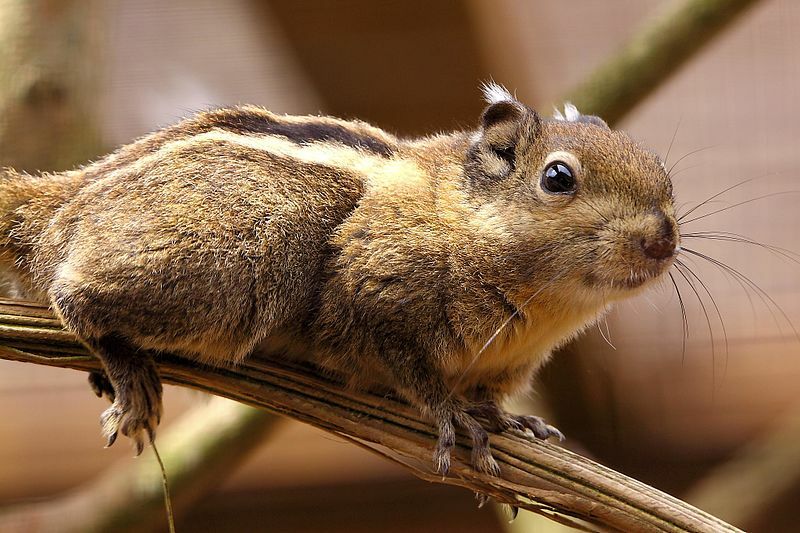 The place is perfect for children and adults who are fond of this little critters. It has been around since the year 1988. It has an entrance fee of four hundred Japanese Yen, which is quite reasonable for a unique experience. Food for the squirrels such as nuts and lettuce are also available inside the park for one hundred Japanese Yen. The little critters can be fed and be played with, it is also the best way to observe and interact with these creatures in their natural habitat. Right across the road from the squirrel garden is a quiet place that is called the Yakushiike Park. There is absolutely no entrance fee to enjoy this scenic and beautiful park. 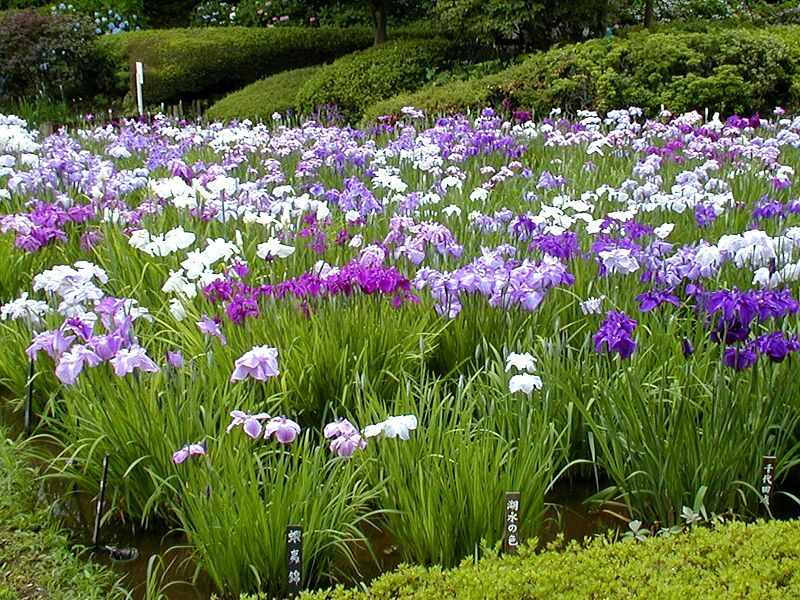 It is a haven for different species of flowers such as cherry blossoms, Irises, hydrangeas, and wisterias. This place is a must-see during the cherry blossom season, especially for the nature lovers. A good place to relax, have a picnic with the family and enjoy a little bit of nature. For those who are history lovers, an old working water mill and two well-preserved farmhouses can also be visited in this park. It has been said that it was built during the Edo Period. One interesting thing about this place is that the traditional farmhouse equipment can still be seen inside these houses. For those who want to relax and just sit back, there is an available tea house at the edge of the pond. This cha-ya serves a variety of drinks and sweets, the most famous is the "ankoromochi" or pounded rice cake with red bean paste on top. This shrine is not only famous for its intricate ox statues and tradition, it is also known for its flea market every 1st of the month. Interestingly, it is also customary for exam takers to visit this shrine before they take the test, which is believed to bring them good luck. This shrine worships Sugawara no Michizane, which is a known deity of learning that guides the mind of those who will take an exam. The Machida sale shrine showcases a different variety of antique items that are significant to the Japanese culture. Some Japanese goods that can be found here are Obi, Kimonos, kokeshi, Japanese textiles, porcelains and different types of statues. It is noted that every end of September, this shrine celebrates the Tenmangu Festival. The Oyamadairi Park forms the backbone along the ridgeline of the Tama Hills. It is a sanctuary to different species of plants and Trees. Some of the noted species of these plants are the storax, sawtooth oak, cornel and Japanese Silver Glass. It is also known for its Cherry Blossoms, tourists flock this park during the season to see this remarkable and symbolic tree. The Otagiri pond also stretches along this large park where there are cedar trees and various plants. At the back of the pond, there is the tank road where historically was used as a place for military practices, today the street is lined with beautiful and scenic cherry blossoms. The Serigaya Park is a spacious and beautiful park in the middle of the city, located at 5-16 Haramachida. Just like the other parks in Machida, this place is filled with different species of plants and flowers. Also, this place is also famous for their cherry blossoms during the season. Moreover, there are a number of man-made waterfalls and mini pool inside, which provides a higher level of relaxation for visitors. Every month of October, horseback archery is held in this park that is participated by both men and women. The participants will have to shoot paper target first then wooden target after. This competition provides a different kind of entertainment when visiting this park. Every end of the week, the Shibahiro Park 1-20-23 Nakamachi in Machida. It is a 35-minute ride from Shinjuku station, then from the train station, it will be a 5-minute walk to Shibahiro where the festival is held. This place is filled with different ramen shops that are gathered from different parts of Japan. Each region of Japan will have one special and unique type of ramen. This bowl of goodness can be bought at a reasonable rate of 850 Japanese Yen, and for the price of 2,400 Japanese Yen, anyone can avail three bowls of ramen from any shop. Also, Gyoza is available for the rate of 600 Japanese Yen and rice can be bought for 500 Japanese Yen. It normally opens at 11 in the morning and runs until 9 in the evening. This is one of the famous malls in the city of Machida, it is located in front of the Machida train station and about 40 minutes away from Shibuya. This establishment is well known for its Southern Californian inspired theme and structures. It is a great place to go shopping, to eat a good meal and for recreation. It is divided into four sections; these are Fresh berry Market, Home life Garden, Oasis square and outlet shops. This mall has many known international clothing apparel brands. The Seria shop is a great place for inexpensive materials and things. For those who are crafty, this place has probably the most variety of elegant and classy materials at an affordable cost. This shop carries home equipment, gardening tools as well as a collection of grooming stuff. Though Japan is common for their 100 yen chain shop, this place sells a more sophisticated and elegant type of merchandise compared to other cheap chain stores. Every first day of the month (except the month of January), the flea market in Tenmangu Shrine is held, despite whether it is sunny or raining. It is known for showcasing antiques and unique finds. It is located in 1-21-5 Haramachida, it can be reached by train using the JR Yokohama line and Odakyu line. It is approximately 35 minutes by express train from Shinjuku station. The entrance is free for all those who are interested to visit. Items such as Kimonos, antique historical pieces, Japanese toys, books that are filled with unique paintings and illustrations and one-of-a-kind patches and clothing with notable patterns. This little hole in the wall food stall in Machida is famous for its dumpling. The dumpling is very savory with delicious broth inside, topped with a little bit of special sauce. It can get messy when eating this food, but it is always a gastronomic experience especially for the tourists. This is considered to be one of the best ramen shops in Machida. Due to its popularity, people have to wait in line before it even opens. This place is unique because it serves a low calorie and healthier version of the iconic dish. The most famous dish is the Ajitama Ramen for a reasonable price of eight hundred Japanese Yen, the soup is made of pork bones, vegetable, and dried seafood. From the name itself, this ramen shop offers something unique and a little bit different from the conventional ramen. This restaurant is located at Machida Terminal Plaza and is open every day except on Wednesdays. Instead of the usual ingredient for the ramen broth, this savory dish is made of Pineapple juice combined with seafood stock. It is normally topped with seaweed, pineapple seasoned pork chashu and of course more pineapple. At night time, the city of Machida is brought to life by sounds and neon lights. There are a number of pubs and hole in the wall bars and clubs available around the city. One of the most well-known clubs is the Crage, located 4-chome 7-17 Haramachida, it opens at 8 in the evening. Karaoke places are also available for a different kind of fun.